c. Generally cohesionless or sometimes have slight cohesion. Dear reader we have discussed about clay contamination of loess soil in our previous post. The silt or silt size particles have a coating of clay around them. These clay particles render a stable condition under unsaturated state. 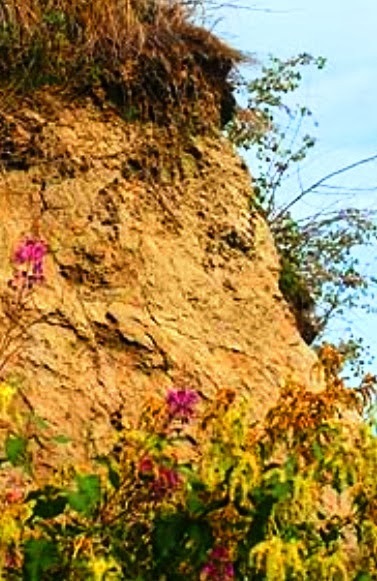 Dear reader we have discussed about stability of slope and cut of loess soil in our previous post. b. Some capillary water may contain this in dissolved form and left in loess when they get evaporated. An observation made by Bandyopadhyay in 1983 that loess found in Kansas shows their cohesive properties mainly due to montmorillonite clay. Whereas calcite remains in loess in such fine state that it dispersed uniformly act as filler material, rather cementing material. So, calcite provides inter-granular support to loess, as secondary materials, together with clay which provides primary support. Illite also acts for this purpose with montmorillonite but its contribution is small.